How easy was that? 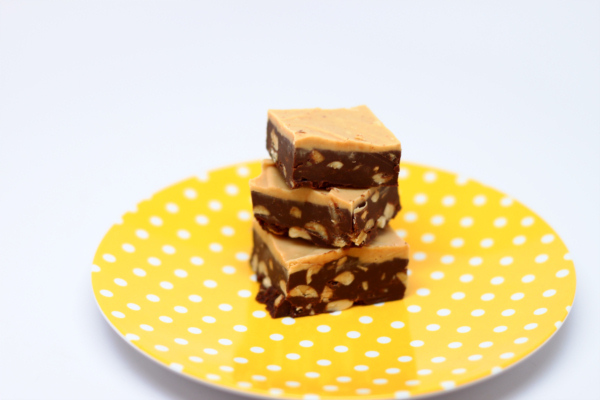 Fudge in a snap ! Make up a batch and put it in a pretty container for a great holiday gift ! Microwave semisweet chocolate and milk on high 1 minute. Stir and microwave another minute or until mostly melted. Then stir well and add nuts. Line the bottom of an 8 inch cake pan with foil and spread the mix in the pan. Microwave white chocolate on high 1 minute. Stir and microwave another minute or until mostly melted. Stir until completely melted. Add peanut butter and stir well then spread over the other layer and refrigerate 2 hours. Cut into 25 fudge squares. The layer of graham cracker in this one really makes it taste like a slice of key lime pie – awesome ! Whisk all ingredients. If you want to place a lime slice along the side of the mold, do so. 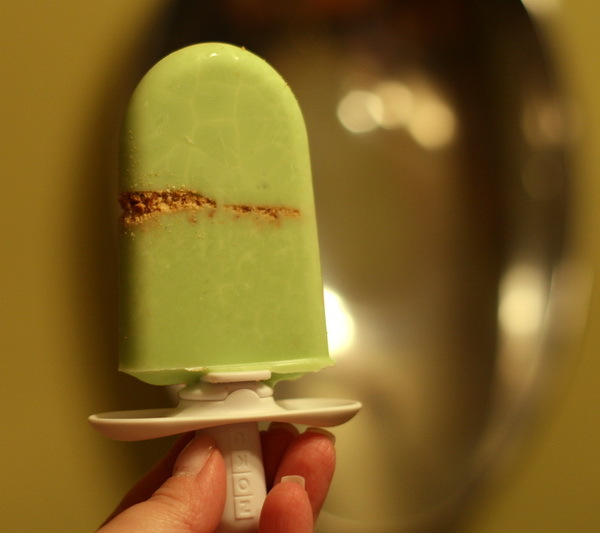 Then pour in ingredients and freeze completely (7-9 minutes in the Zoku, 6 hours in the freezer). If you want to use layers of graham cracker (like a graham cracker crust on a pie), then let a layer of lime freeze all the way – then add a layer of the graham crumbs and pack them down before adding more base liquid. It is amazing how creamy of a product this turns out considering there is no ice cream maker involved. I’ve made it many times, always with good results. It’s well worth the calories 🙂 If you are lucky enough to know what Carvel ice cream tastes like – – well, this is similar ! Stir milk, vanilla, condensed milk and salt in a medium bowl. Beat heavy cream to stiff peaks (but don’t over beat or the cream will begin to break down) and then fold into the milk mix. Folding is just a method to mix things a little gentler than stirring. 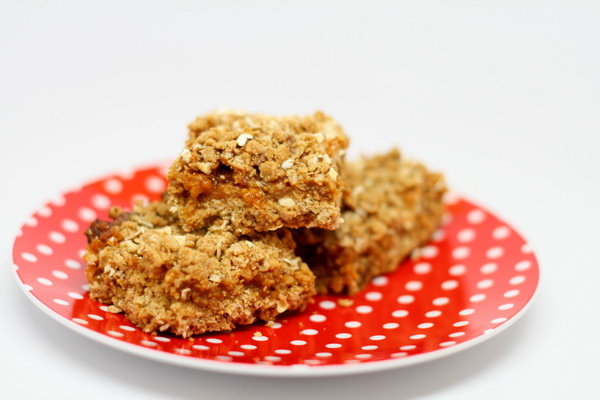 You just keep inserting a spatula or spoon UNDER the ingredients and left or fold them up on top – keep repeating to fully incorporate the ingredients. Pour into a shallow 1 ½ quart METAL (because it conducts the cold better) bowl and freeze the mix 4 hours, stirring once halfway through. 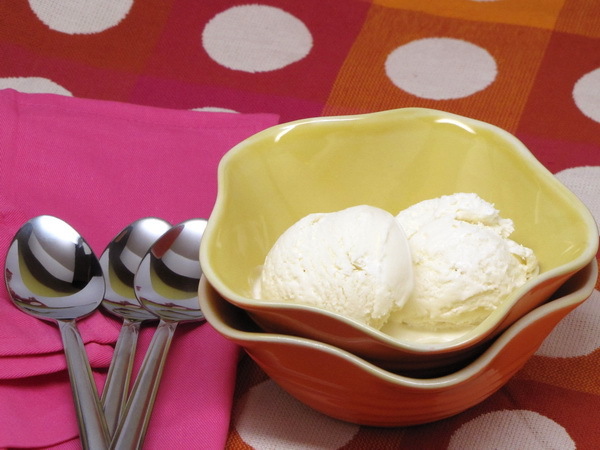 If you keep this in the freezer for more than a day, it will get very hard and you need to let it sit a few minutes before scooping out servings. Strawberry – omit the milk and vanilla – instead stir in 4 c pureed strawberries and 2 T corn syrup.